Another elegant & beautifully simple necklace designed & made by Jean Wilkinson. This one is in 18ct yellow gold and known, for obvious reasons, as Paisley. 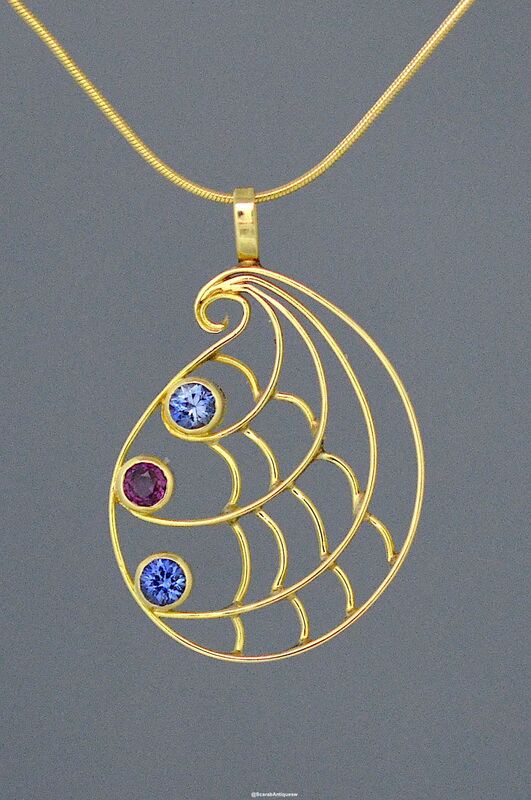 It consists of a series of swirling gold wires rubover set with 2 blue sapphires and a ruby. 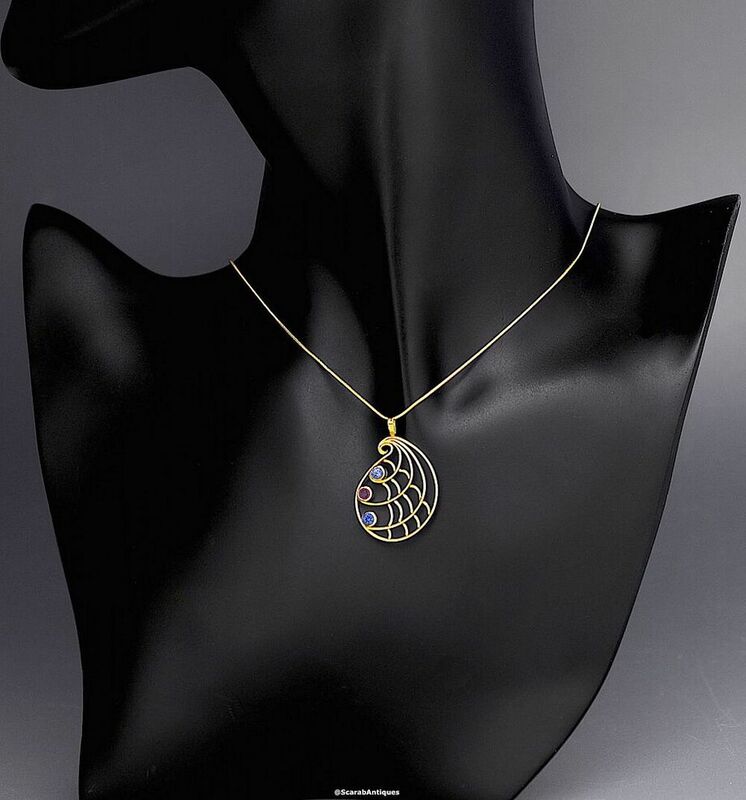 The pendant hangs from a fine 18ct yellow gold snake chain.